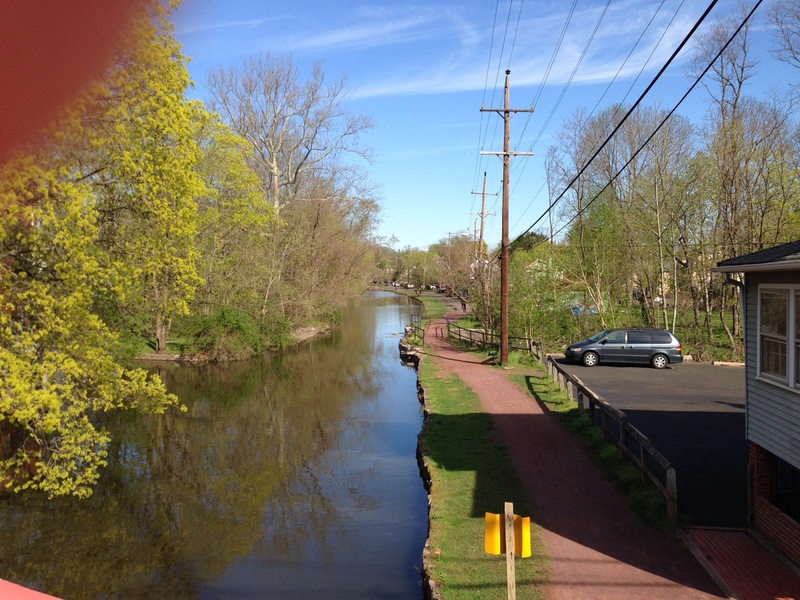 The beginning of the towpath from Cramer’s in Yardley, heading north. Today started early with the kids. 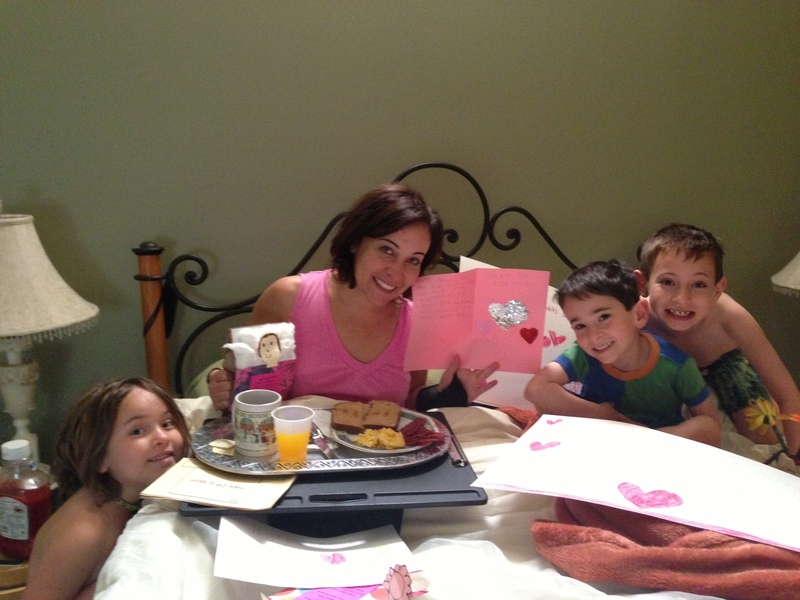 We let Leslie sleep in and put together a nice breakfast in bed for Mother’s Day. 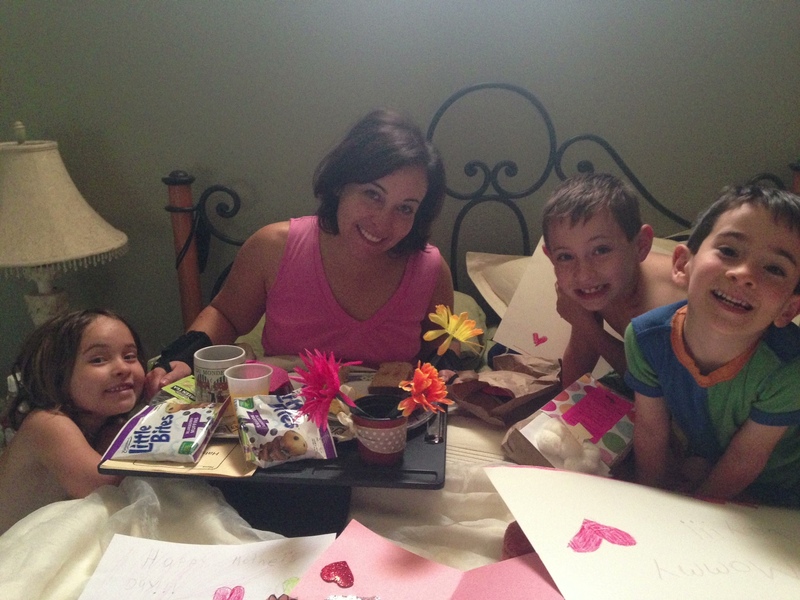 The kids made cards and gifts which made for a fun morning. 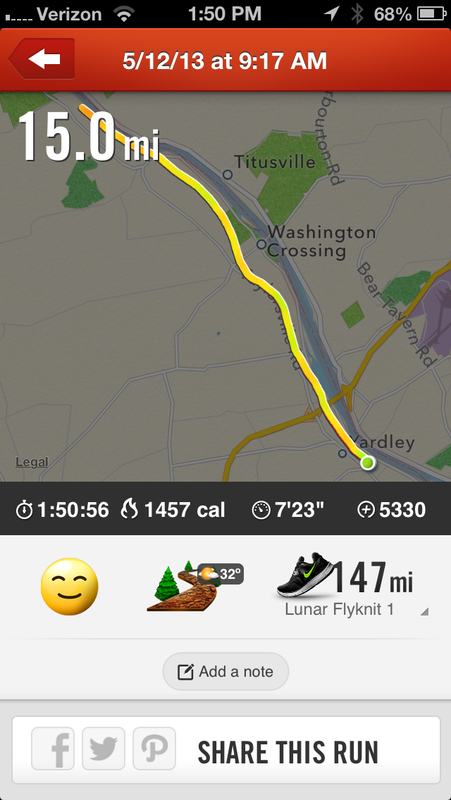 I had to quick zip the kids to religious school at 9:00am and then I zipped to the canal for my run. The canal has a great soft surface which was perfect after a day on the track Saturday. 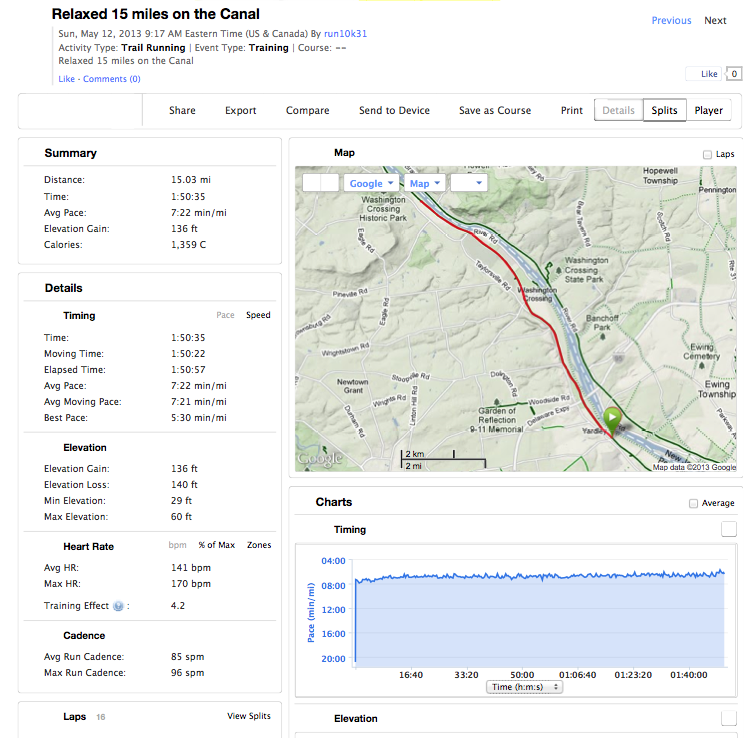 Although we had a good deal of rain yesterday the canal was in fairly good shape with only few muddy sections. 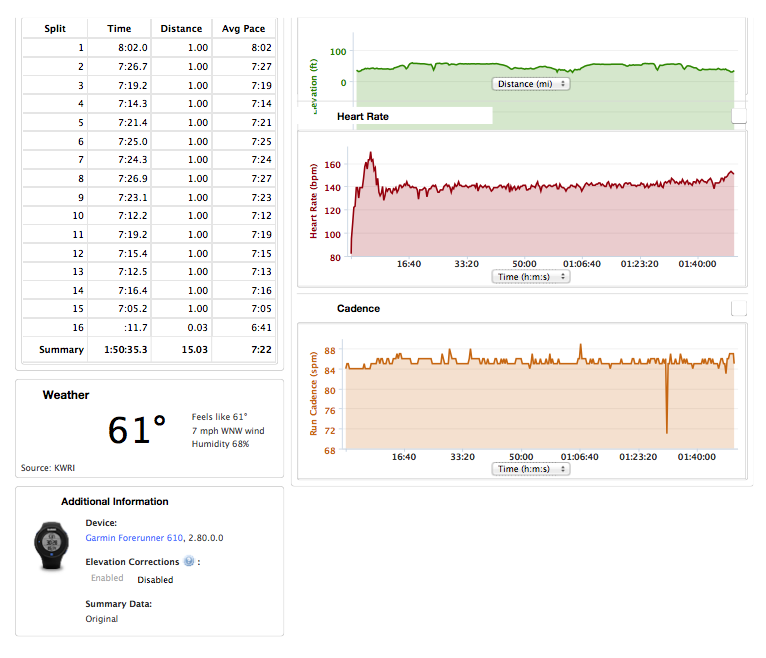 I felt good today and glided through a nice easy pace in the 7:20 range.. It was nice to get 15 miles in the books. I know I have a tough week of training ahead which I am looking forward to. Only 71days to go now so now is the time to get in the tough training!!!!! Breakfast was a nice touch!